Ramblings from an Over-Squozen Brain: Time for a new keyboard? Time for a new keyboard? 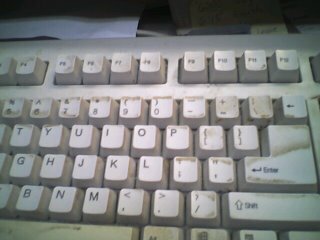 Here's a pic of my keyboard ... or at least the one I just replaced. As you can tell, it's well used! Probably a little TOO well-used. I use the keyboard a lot. So much so that lately I've been having some problems with my right arm (carpal tunnel syndrome?). So besides wearing a brace on my right arm, I purchased a new, ergonomic keyboard. It's got a split keyboard so that the hands can sit at a more natural angle. It also is curved up in the middle, rounded, so that your hands are more comfortable. In addition it angles down, away from me, again to give the hands a more natural position. All in all it's much more comfortable, even though I'm having a little more trouble finding some of the keys. But the more I type, the more comfortable I get with it. This new keyboard is nice and shiny ... and clean! The knobs on the "j" and "f" keys are easy to see AND feel. And there's no spilled coke or leftover lunch crumbs hiding in the crevices! All in all a great improvement. But what about the old keyboard? What does it's future hold? Will it be relegated to the junkpile of life, tossed aside like so much of our throw-away society? It still has some usefulness left, doesn't it? I'm so glad our Lord doesn't throw us away when we're dirty and used up. Often we feel like maybe He should just go ahead and give up on us ... that we're of no value, we're not good enough, clean enough, new enough. But God doesn't give up on us! I'm often asked my favorite Bible verse and it's found in 1 John 1:9, "If we confess our sins, He is faithful and just to forgive us our sins, and to cleanse us from all unrighteousness." That verse was written to Christians! And we need it because we all sin. If anyone says he doesn't sin, he's a liar! (See the rest of 1 John for more info on that!) So what do we do when we sin? Give up? Quit? Throw in the towel? Expect to be replaced? No! We confess, get cleansed and move forward! LOL! 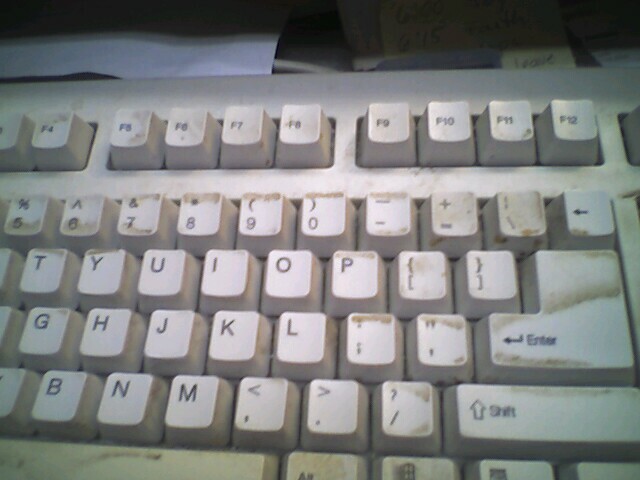 My keyboard, besides holding dust, has the letters missing from several keys- about 13 either entirely or partially missing. Same thing had happened to my old one. Not sure what I am doing or if there was a defect in the keyboard (happened on my newer one soon after I bought it). 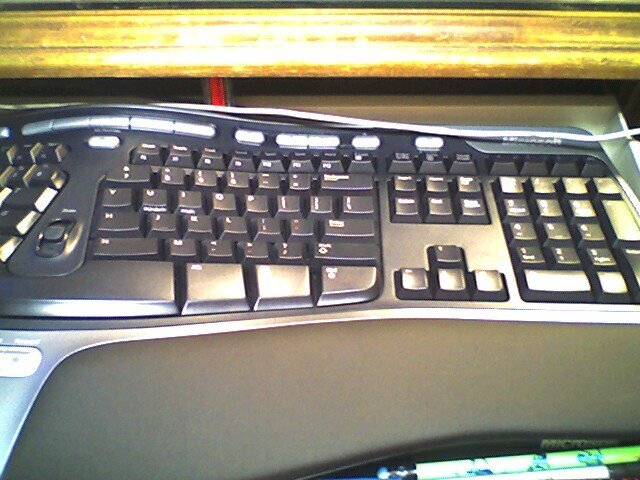 BTW, my arm is doing MUCH better since I've been using the new ergonomic keyboard. MUCH better!